While conflict is inherent in many Family Law matters, it is possible to come to an agreement without the fighting that almost always leads to court appearances and all the resulting costs and emotional upset. The better path for some individuals involves the hiring of a Mediator who acts as an independent neutral party and has the training and experience required to find the common ground that the opposing parties could not find themselves. "The key to success in a Mediation is that both parties have to understand and accept that the Mediator takes no sides," said Norman Galarneau. "He or she has no skin in the game. The only goal is to help both parties reach an agreement." It's also important to understand the agreeing to Mediation does not mean giving up control. "You still have control because the Mediation is not binding," explained Mr. Galarneau. "You can still say no if you don't agree with the recommendation made by the Mediator." Choosing The Family Law Firm to handle your mediation makes sense because our key strength - extensive court experience - is a key prerequisite for successful mediations. "When we make recommendations, they are based on real life and what really happens in Alberta courts," said Mr. Galarneau. "That makes all the difference." 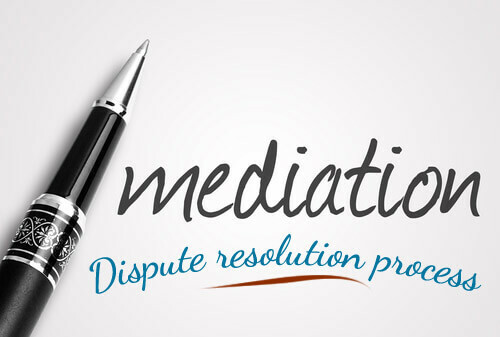 Learn the important facts and added benefits of mediation as an alternative in resolving your family law dispute. Call our office at 780-756-1171 or contact us online for more information.